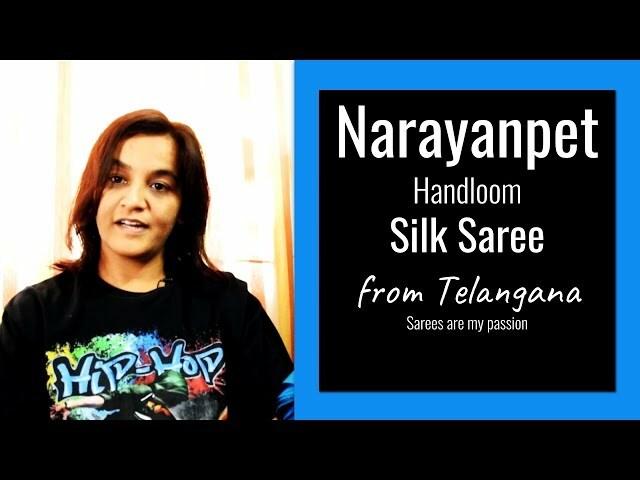 This Beautiful small little town is renowned for exclusive splendid handloom silk and cotton sarees, Narayanpet in Mahbubnagar district, Telangana state, India. Primary source of income for people here is from weaving sarees. This charming place is extremely hot in summer and cold in winter. Since it's a business hub for sarees people known many regional languages such as Telugu, Kannada, Urdu, Marathi and of course English as well. Narayanpet sarees is known for its durability, affordability and lower maintainance. In this modern age of Indo-western twist and fast fashion outfits, Narayapet saree still remains classy. 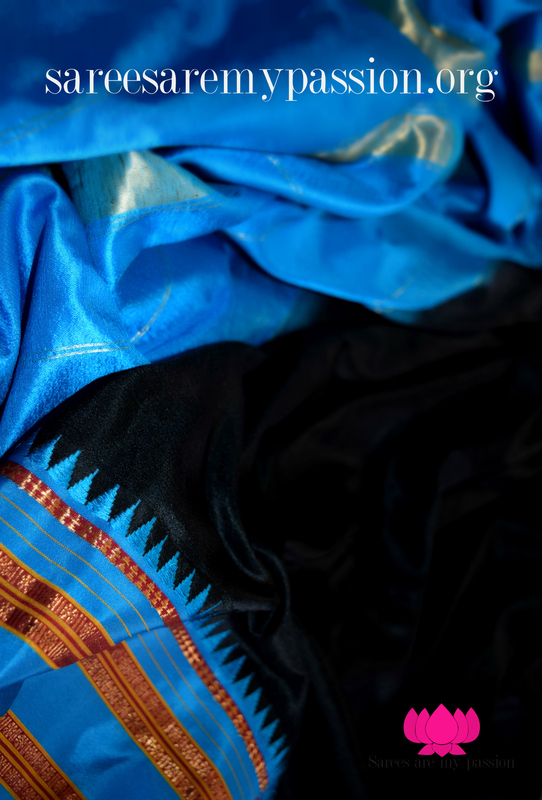 Narayanpet carries such elegance and sophistication in sarees, these sarees are available in two mediums, such as rich silk and earthy cotton sarees, well known for gold work, cotton sarees carries mostly plain, may also use coloured checks on the body. One can see traditional motifs and rich designs come alive as bright gold borders adorn the rich tapestry of colours. 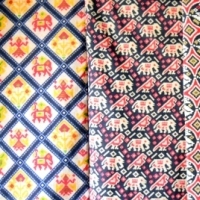 Artisans in this area are dominantly Maharashtrians and hence an influence of their culture can be seen in the designs. 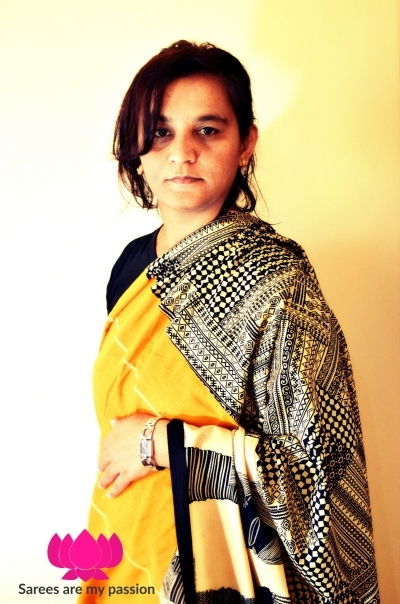 Masterweaver tells, it takes nearly two to three days to weave one exquisite handloom saree. 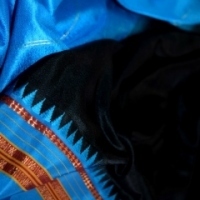 Borders and pallus of Narayanpet sarees are very traditional. 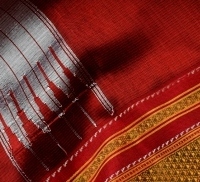 Narayanpet handloom sarees are traditionally woven in the interlocked-weft technique. 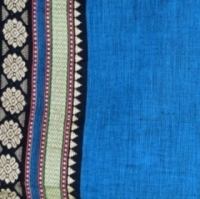 Narayanpet sarees always come with contrasting borders, one can see the influence of the temple is so strong, hence the temple style border is a characteristic feature on almost all the sarees woven here. The colors brighten up the mood, mind blowing shades such as the classy black and mustard, canny yellow and emerald green, forest green pairing with maroon, bright red leaf green zari border, pearl cream and green, kumkum red and turmeric yellow, mehandi green with stunning purple, royal blue with cherry pink, classy black with sky blue, standout black with magenta, parrot green with ruby red, mustard with deep maroon, outstanding grey and black, purple with sea blue, my favorite pink with black, bright orange with fuchsia, sea blue with parrot green, haha my eyes are going crazy seeing these wonderful color combinations! Even today, wearing a Narayanpet Saree is considered auspicious, and offering of the same is meant for the Goddess. Every traditional occasions one offers these saree to gods, which may have temple motifs, small zari designs also feature on the borders. Usually they prefer shades of red, green offering to one’s holy deities and black is considered as inauspicious, heard by locals here, younger generation have left Narayanpet to pursue their fortunes elsewhere. 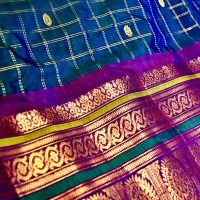 Narayanpet sarees are very lightweight and sometimes the borders are also ornamented with small zari designs. One can see cotton saree, which are presentable and preferred for daily casual use by college professors, teachers, corporate women entrepreneurs, and one can even wear them for college parties, event functions, festivals and so on. 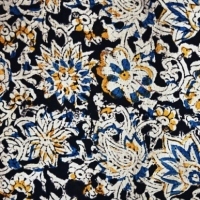 Kalamkari or qalamkari is a type of hand-painted or block-printed on a Cotton Textile or Silk Textile. Produced in India, Iran. The Name Originates in Persian, from the words qalam (pen) and kari (craftsmanship), meaning drawing with a pen. The finest spicy Grandmother's attire, nostalgic saree! Each thread narrates of a story that weaves into a magical saree, red hot Guntur city lies on the south eastern side of Hyderabad in Guntur district of Indian, state of Andhra Pradesh. This city residents are referred as Gunturians, purest forms of the language can be heard here is Telugu(regional language), English and Hindi are widely spoken as well. One can see largest Asian market for red chillies here, this place is main producer and renowned globally for exporting of most varieties of Chillies and chilli powder from India to countries like USA, UK, Latin America, Middle East, Sri Lanka, Bangladesh and South Korea. Majority of Indians a dish lacking in spice or without chillies is unfathomable. Andhra cuisine is famous for its extremely good dishes and the chilli responsible for this is the Guntur Sannam(Capsicum annuum)that's the secret behind Andra spicy dishes. If you are in Guntur, than one should not leave the city without tasting authentic super spicy Guntur’s famous "Red chilli biryani", I can say, taste buds on fire! Guntur is also famous for Gongura pickle (Roselle is a plant) the leaf is used for pickling, writing about food oh my goodness I go crazy, it's a never endling story, lets see now about saree. Mangalagiri Sarees and Fabrics are produced by performing handicraft weaving in Mangalagiri, a town in Guntur district of the Indian state of Andhra Pradesh.Mangalgiri was always known for its pilgrimage importance because of the famous temple of Lord Panakala Narasimha Swamy that is located in the heart of the town. Mangalgiri located 12 kms away from Vijayawada. It was registered as one of the handicraft in the geographical indication from Andhra Pradesh by Geographical Indications of Goods (Registration and Protection) Act, in the year 1999. I was listening to "Keith Urban-Little Bit Of Everything" how pleasant it is ha? I want little bit gold, earthy cotton and lavish silk of everything, flashed me glorious Gadwal saree, which has little bit of everything! Gadwal a place known for harmonious coexistence of the cultures, situated between the rivers 'Tungabhadra' and 'Krishna' of Mahbubnagar district, Telangana state, India. Gadwal is one of the popular historical places to visit around Hyderabad. Gadwal fort or Nalla somanadri fort, built during 17th century by the gadwal ruler Peda Soma Bhupaludu(Somanadri) is a cultural heritage landmark. Gadwal fort was constructed with huge walls and moats around the fort which made the Gadwal fort very strong and impregnable since its construction with huge walls all around, this fort has three ancient temples namely Sri Chennakesava swamy temple, Sri Venugopala swamy temple, Sri Ramalayam and Sri Chennakesava temple is grand with large temple tower, stone mandapa and beautiful carvings. Pochampally sarees are sheer delight for women! Magnificent Pochampally saree is called by varies names such as Pogudubandhu or Pochampalli Ikat, is a saree crafted in Bhoodan Pochampally, Yadadri Bhuvanagiri district, Telangana State, India. Pochampally, the village was renamed to Bhoodan Pochampally. This small traditional handloom village magnificently showered and surrounded by hills, lush green fields, temples, Pochampally makes up for an exciting destination to spend one’s heart. This village is around 45Km away from Hyderabad.Telangana is one of the ancient Ikat weaving centers in India.Pochampally Ikat sarees was mainly popularized during 80's.Pochampally silk saree boasts of blending comfort and popularly known as tie and dye weave, one can see century old traditional looms here. A Coastal town, situated in Prakasam District in the state of Andhra Pradesh called Chirala, this town was also known as 'Kshirapuri'. Chirala town is renowned for handlooms. 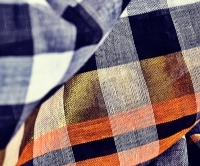 Years passed by, the town gained popularity for its excellent handloom sarees known for the softness and durability. The name Chirala means saree in Telugu and so eventually the name of the town got transformed to Chirala. Main occupation of this village is handloom weaving and paddy cultivation. The weavers of Chirala produce, cotton sarees, seico sarees which are a fine blend of cotton and silk fibres and kuppadam(Gadwal type), Generally in Chirala they use 'Fly shuttle loom' is been used. Handloom fabrics of Chirala are soft and most comfortable to wear which suites all the climate, hand butta is another fascinating design feature of Chirala sarees, where colours are manually added in-between the zari design. This artistic lineage is carried forward by the weavers belonging to areas like Devanga, Padmasali and Pattusali community of weavers community. One of the most traditional sarees which I had seen apart from Ilkal saree is Hubli cotton sarees, due extreme humidity generally localities adore this saree for daily bases. This is one of the simple weaves but I totally in love with this saree, the texture of the saree is so soft due to the high count of cotton yarn used. Ancestral Molakalmuru with a modern twist! Molakalmuru is a village panchayat town in Chitradurga district,Karnataka state, India. Molakalmuru is best known for its hand-woven silk sarees of exquisite design and craftsmanship It is said Maharaja Krishnaraja Wadiyar IV (Nalwadi Krishnaraja Wadiyar) during his visit to the place in 1914, he appreciated the finesse of these sarees. Molakalmuru means broken knees in Kannada(native regional language), according to a local legend, the town was thus named after a battle between the native Indians and the British, in which due to the rocky and hilly terrain behind the city, the British suffered many broken knees in their losing battle. which surrounds this town. Today it is just a history, historians believe that this name is merely a symbolic reference to the broken pride of the British. World famous for its renowned silk sarees as weaving is the major occupation of the place. The most simplistic and minimalist hidden weaves from Karnataka is Banahatti Cotton Saree, I just loved the texture of the fabric, it's like linen saree? I don't know what more can I say about this saree. 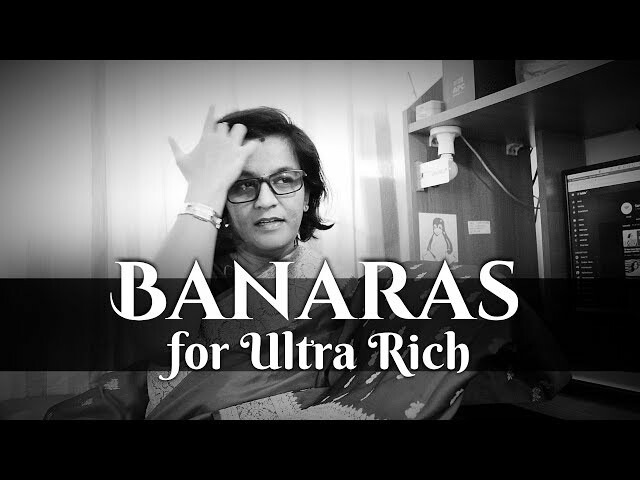 Well it is more deserved to seen in my Youtube video, do check it out! I remember and recollect my childhood memories, I was just nutty about cotton sarees and fabrics, not only for comfort but for simplicity. I always love to be seamless in the crowd! My passion grew regardless of the age for hand-loom sarees, today I'm here to share one more simple weave from Karnataka called Patteda Anchu handloom cotton saree. Traditional hand-loom sarees from Karnataka are Ilkal sarees, Molakalmuru sarees in addition to it Patteda Anchu cotton saree which joins the loop, these simple weaves is from Gajendragarh village in Gadag District.